Since its creation, R4C has contributed to numerous media projects in Burkina Faso, Mali, Senegal, Togo, Djibouti and Kenya. religious and moral authorities who openly support changing practices and customs in the communities they govern. Only under these conditions, any information and/or awareness campaign will lead to positive and tangible results. In this context, a player such as R4C finds a fertile ground facilitating collaboration with national media and local production companies and promoting behavior change by the concerned population. In Burkina during the last 5 years, R4C developed numerous campaigns using diverse and innovative strategies. * “Les tentes à paroles”. Tents were open for two years 6 days a week in Ouagadougou’s markets. These safe locations hosted more than 2,500 people a month. In these tents women were able to express their suffering (be it physical, psychological, emotional, sexual or relational) and understand the correlation with the practice of female cutting. Our well trained team has been constantly present to welcome people, facilitate talks and give a careful listening to victims stories. Women found a benevolent place for self-empowerment and for debating more freely on taboos in a country where they are denied of such a right. * Awareness raising campaigns, radio and television broadcasts based on testimonies collected on markets, in local communities, among opinion leaders and committed artists. They include a series of 6 episodes of 26 minutes each “No more blades, no more tears”, broadcasts of the great Sheikh Al Qadrawi and of Mogho Nabob, Emperor of the Mossi and “Tombe la lame” the lastest videoclip of Smockey, famous rapper and leader of the “Balai citoyen de la révolution burkinabé”. * The educational image box “To end female cutting” with four real cuttings on children from 3 to 13 years old. This audio-visual tool shows the physical consequences of female cutting and includes commercials, music videos and consumer awareness movies as well as various testimonies. The DVD is distributed in Senegal, Mali, Togo, Djibouti, Burkina Faso and Kenya. * Documentary shot by R4C at the time of the cutting of 28 girls in the village of Nobéré in August 2013. This documentary has been coproduced by RTB and R4C and has been widely broadcasted on prime time on national TV and has been featured in the press many times. A second documentary features the medical monitoring, reports on the trial by the prosecutor and the reactions to the release from prison of accused parents and villagers. 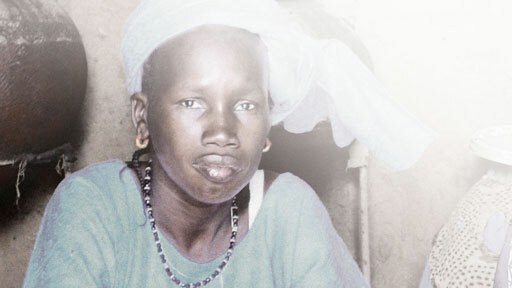 This documentary has been played in front ministers, celebrities and FGM related NGOs at the Inter African Committee (IAC) in Ouagadougou in late April 2014. A legal study on the implementation of the law made by high ranking magistrates sympathetic to the cause. The goal: to highlight the pedagogy of the sanction with video clips featuring interviews from jailed circumcisers, from parents who have served their sentences, etc. Pilot project on psychological healing and intergenerational forgiveness. A group of autonomous women guided by a volunteer psychologist made this personal work and collective psychological healing in order to assist other women and girls with their trauma by initiating their healing process and intergenerational forgiveness.